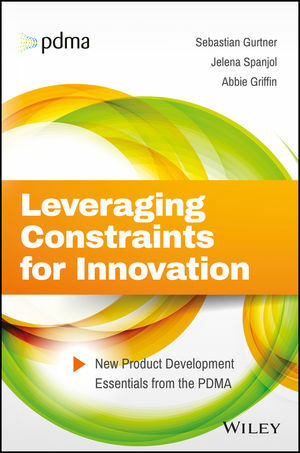 New Book: "Leveraging Constraints for Innovation"
Co-edited by Prof. Dr. Spanjol "Leveraging Constraints for Innovation" represents the third volume in the series New Product Development Essentials from the PDMA. Image: Cover "Leveraging C onstraints for Innovation"
The book develops a framework of individual, organizational, and market constraints that guides managers in identifying specific constraints related to their innovation activities and provides them with corresponding tools and practices to overcome and leverage those constraints. It is an ideal book for all product development professionals, including marketers, engineers, project managers, and business managers in both startups and well-established firms, and from a broad range of industries from heavy manufacturing to the service sector.